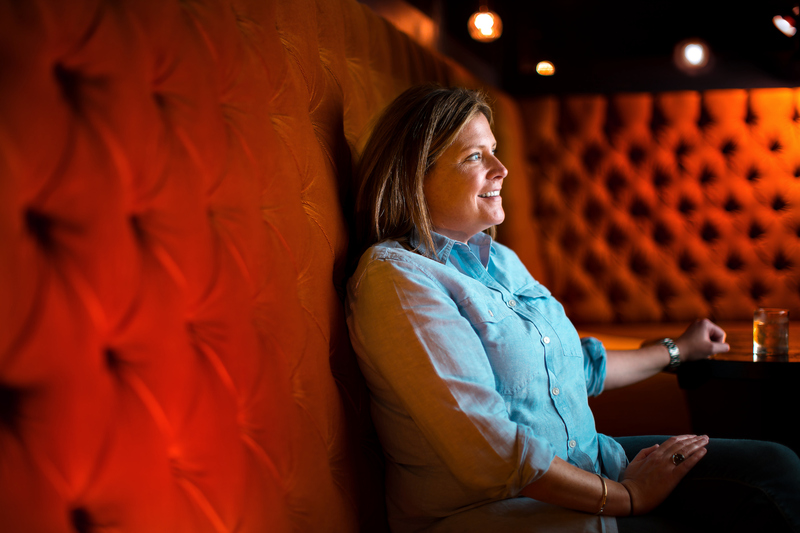 On a recent Friday morning, Lee Comer sat in her speakeasy Hush, sifting through emails, updating menus for Four Flocks and Larder and directing her staff. Technically, it was her day off. But entrepreneurs don’t take days off. Especially not those running a nine-business empire with about 200 employees. “There’s never a day off. It’s 24/7,” Lee says. 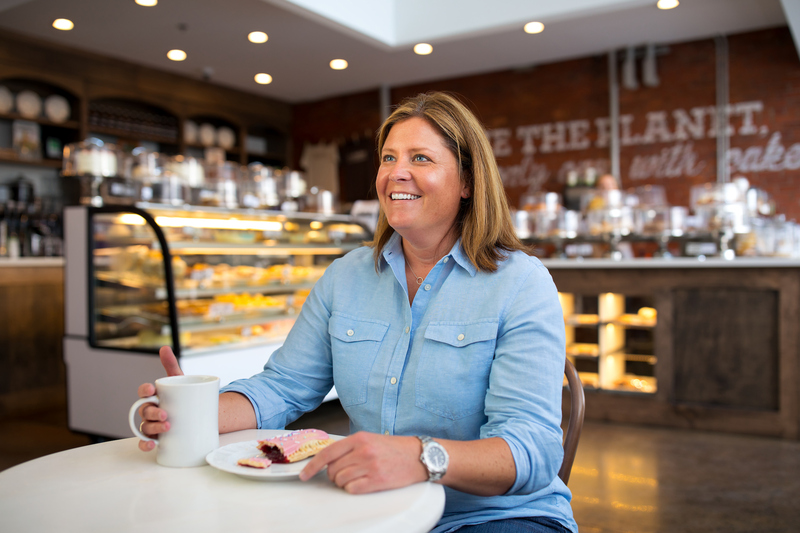 She started her Fresh Local Good Food Group eight years ago with Iron Hen Cafe, the Fisher Park eatery with a menu full of comfort food and a deep bench of loyal regulars. In 2016, she opened her latest venture: the Morehead Foundry, a former commercial and industrial space on Spring Garden Street that Lee transformed into a hot spot of trendy eateries with a members-only speakeasy, Hush, and a cool event space, the Public. It’s also home to her corporate headquarters and catering operations. The restaurants – Four Flocks and Larder, The Baker and Bean, and Revolution Burger – all have the charm of Iron Hen, with everything from the furniture to the dinnerware as carefully chosen as the locally-sourced dairy, produce, and meats. Everywhere you look, Lee choose fine materials. She tapped into her childhood memories for ideas. “All of my concepts are nostalgic,” she says. Lee is also a co-founder and board member of Love Greensboro, a group that promotes city pride and celebrates a sense of belonging.